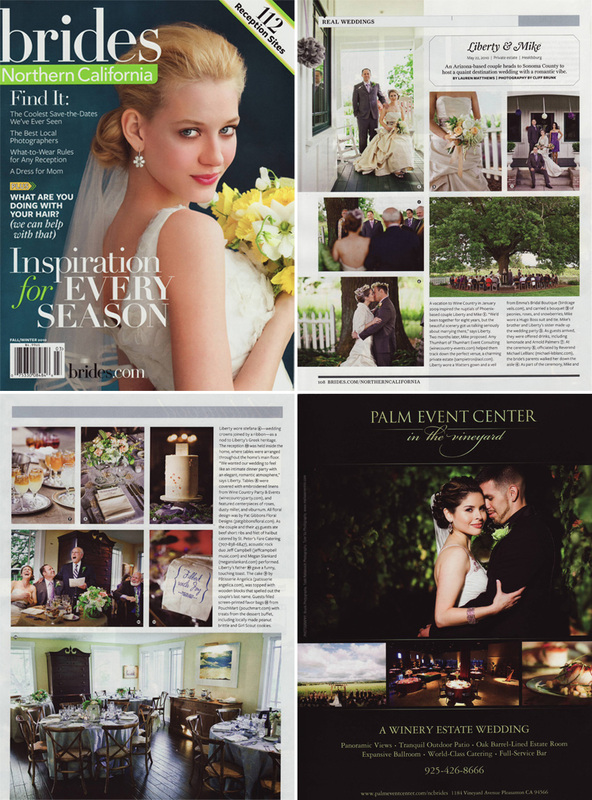 I’m very pleased to say that Liberty and Mike‘s beautiful wedding at The Homestead in Windsor, CA was recently published in Brides Northern California Magazine! They put together a great spread and story, be sure to check it out on the stands! A little bonus surprise was seeing my image of Vanessa and Alberto on the back cover as the feature image in the Palm Event Center‘s ad. Michelle Pangrazio - We love your photography! Thanks for your beautiful image in the ad. You deserve all the attention. Cliff - Thanks Michelle, we’re looking forward to shooting at Casa Real this Sunday!